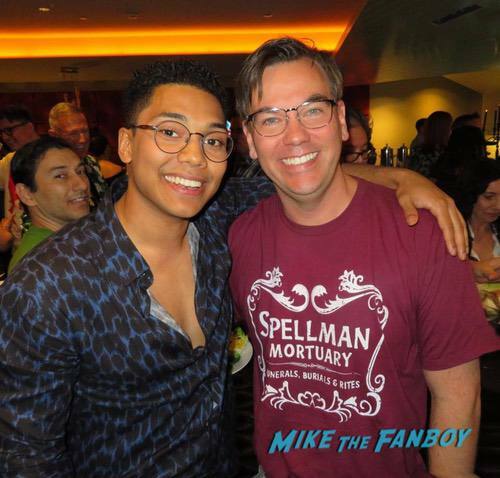 Home / Fanboying! 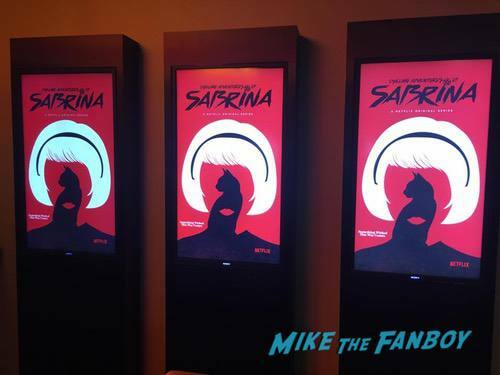 • The Scott-Files / The Chilling Adventures Of Sabrina FYC Event! 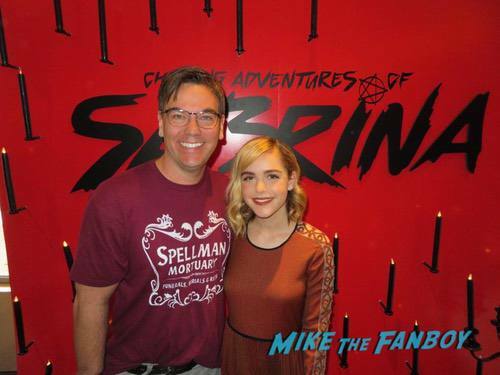 Scott Meets Kiernan Shipka! 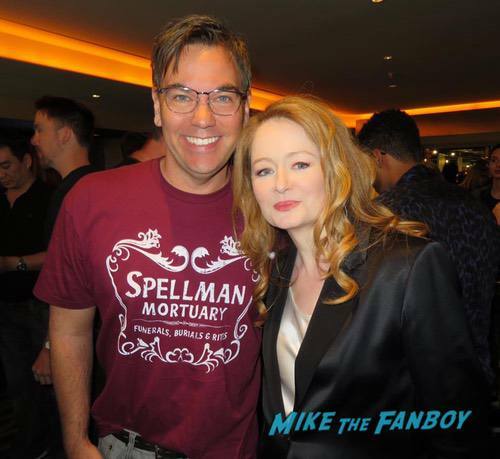 Miranda Otto! Lucy Davis! Michelle Gomez! And More! 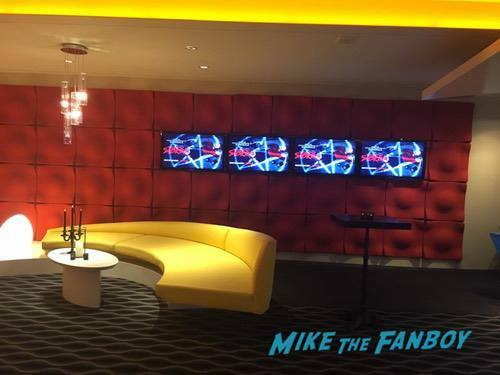 Every year the Emmy’s do something called “For Your Consideration” screenings for Emmy voters. I myself am not an Emmy voter but I know a few people who are. These events are really cool. They wine and dine you. They present an episode of the show they are promoting and you have the opportunity to meet some of the cast. This year, there was only one show I really cared about and that show was “Chilling Adventures of Sabrina”. 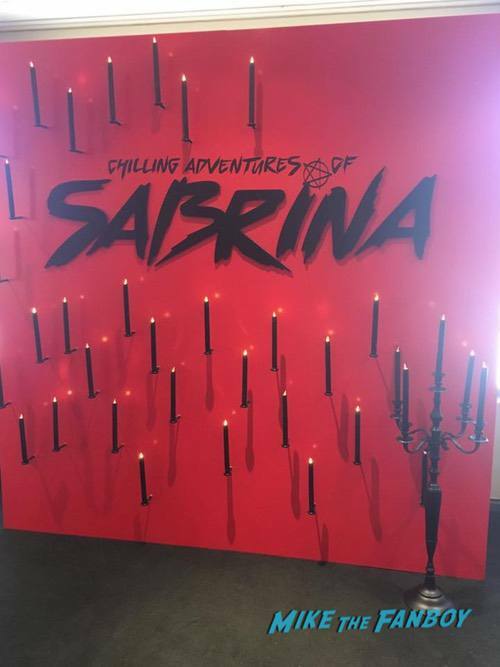 I was fortunate enough to get invited to the FYC for “Sabrina”. The event was at the Pacific Design Center. I am a buyer in high end retail so the PDC should be a second home for me, but I haven’t been there in years. I was so excited about this event that I arrived a couple of hours early. I saw familiar faces in the line when I arrived. Everyone was super excited for the panel. We all compared notes on which characters we love the most and what we hope to see in season 2 (which begins on April 5 on Netflix!!). After what seemed like an eternity, they let us in to find our seats, soon after the panel began. They showed the pilot, which is one of my favorite episodes. It does a great job setting up the world of Sabrina, the mood, the characters, and the main plot points of the first season. Next up was the cast Q&A. 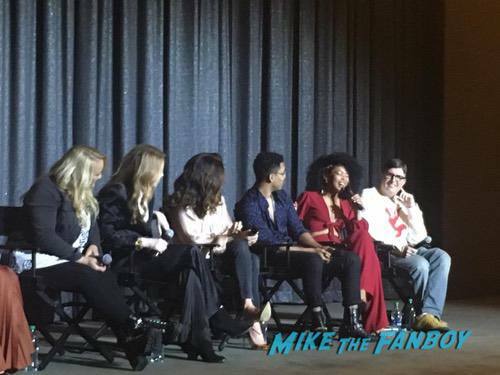 Most of the main characters were there: Kiernan Shipka (Sabina), Lucy Davis (Aunt Hilda), Miranda Otto (Aunt Zelda), Chance Perdoma (Ambrose), Jaz Sinclair (Rosalind), and the fabulous Michelle Gomez (as the evil Mrs. Wardwell). 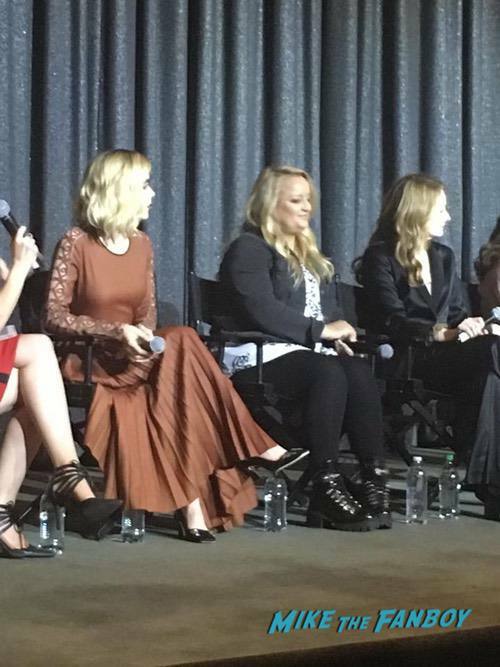 It was clear from the panel that the cast is very close and they seem to have a hoot while filming. The comradery of the ladies was especially refreshing. They clearly enjoy working together. After the panel- the party began. The entire cast attended. There was a bit of a rush for Kiernan. 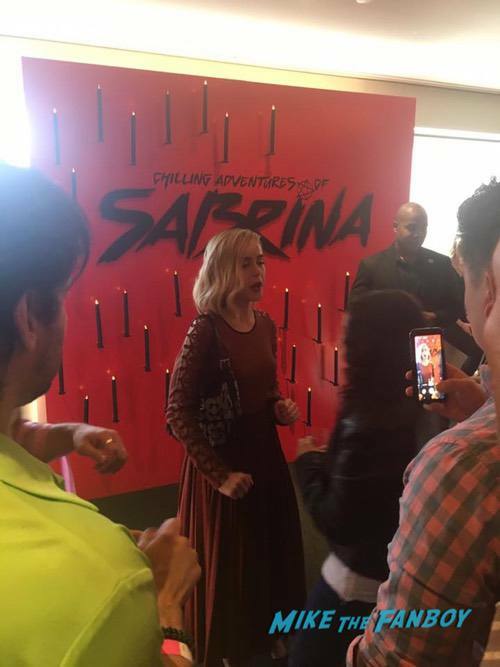 I was nervous that the crowd would scare her off, but in true Sabrina-form, she was a brave trooper. I watched as she engaged every person in line. She had eye contact and smiles for everyone. She asked people questions and really interacted in a very pure and natural manner. When I got to her she took a second to say “There you are! I saw you from the stage. I love your shirt”. 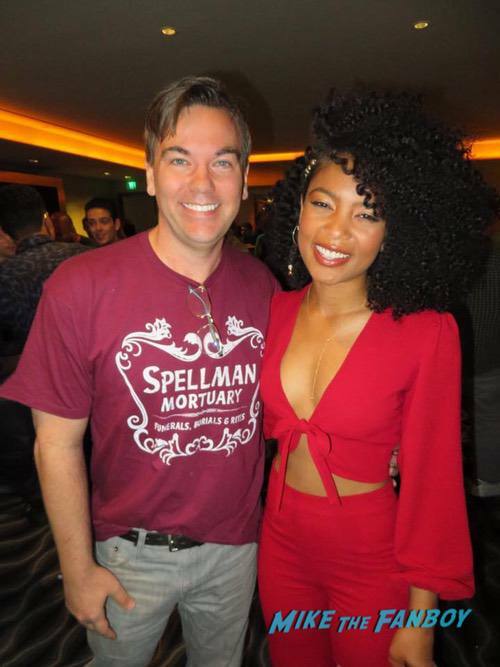 I was wearing a Spellman Mortuary t-shirt that I found online. It featured the logo of the mortuary from the show. She thanked me for being a fan and for watching the show. She said “keep watching because I love this job!!”. The rest of the cast were just as grateful and engaging. I tend to get nervous and quiet when I’m in these situations, but I found myself chatting the cast up. They were that nice. 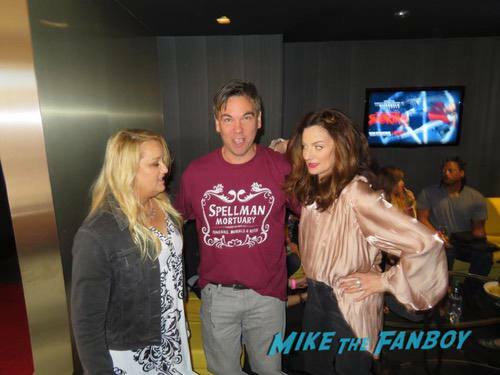 When Miranda saw my shirt she gave me a big hug. Lucy and Michelle were climbing all over me calling me “yummy”. When I said “congratulations on the show” to Chance he said “I feel very lucky and very blessed”. And that’s what you felt from each person on the cast. They were/are sincerely thankful for the show and for all of the fans. As for the show itself, it’s magical and well written. It’s smart and funny. The cast are amazing (Miranda, Lucy, and Michelle all deserve Emmy’s!!!). The mood is pure Halloween (which I love). The pilot and the final episode of season one “The Witching Hour” are especially awesome. But most importantly, Kiernan is everything you want Sabrina to be. She smart, She’s funny, and she’s tough. Thank you to everyone at Netflix and a huge “thank you” to the cast!! It’s a great show and such a fun event!! 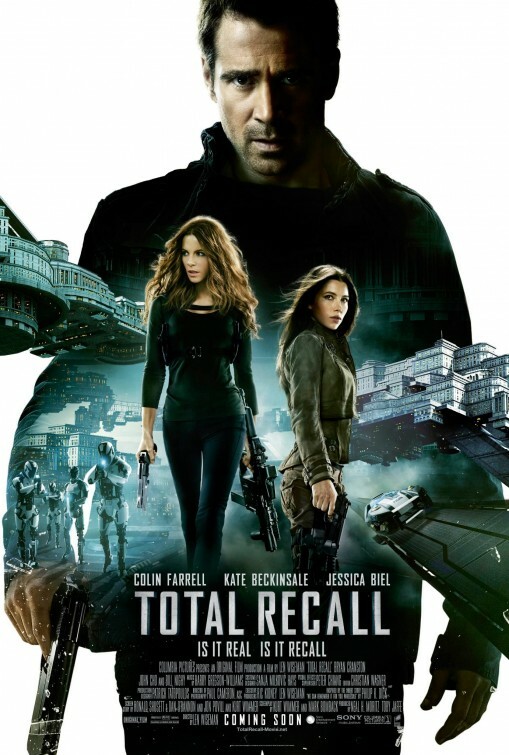 The New Total Recall Poster is Out! Why Amazon Kate Beckinsale Is Bursting From Colin Farrell’s Abs While Jessica Biel Tries To Look Like Juno Is Beyond Me! WTF! I Grab My Identity Disc and Head Out To Meet Tron Legacy Star Garrett Hedlund! Autographs! Coolness! And More! 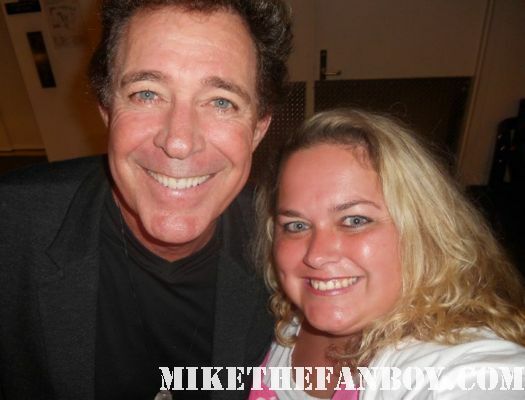 Pretty In Pinky: Squealing Like A 12-Year-Old Lovestruck Girl For Barry Williams AKA Greg Brady! The Brady Bunch Trilogy! New Video of Lady Gaga Stopping Her Car To Sign Autographs For Fans! Amazing!